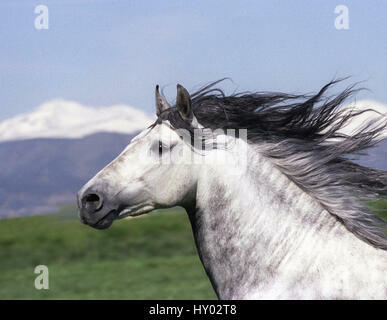 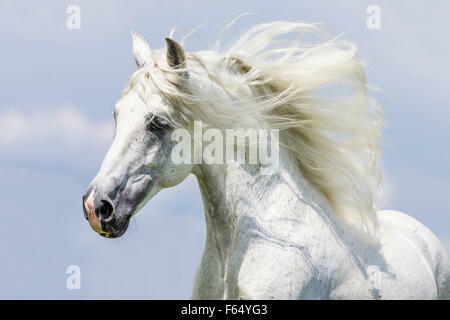 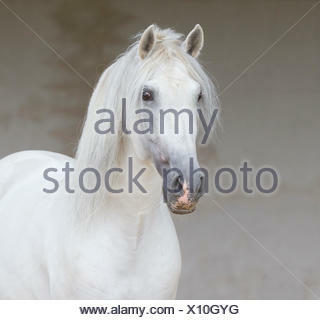 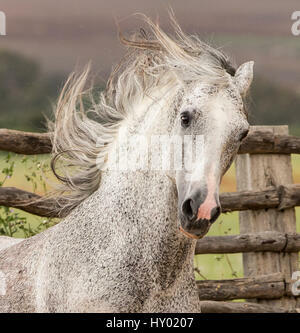 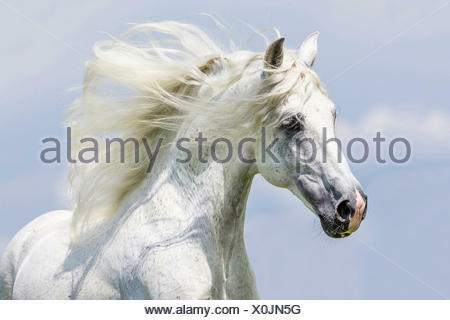 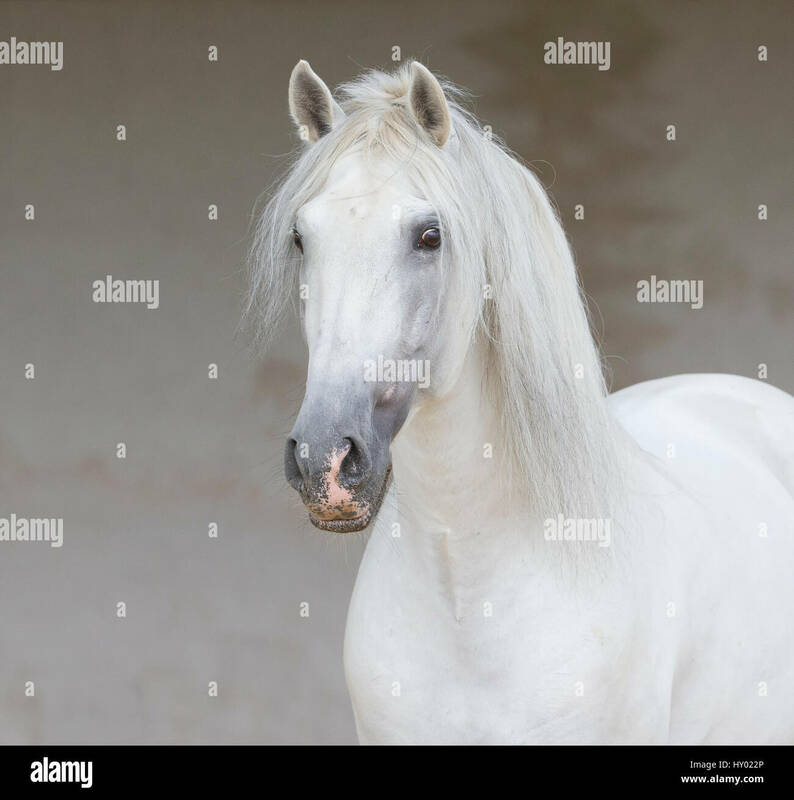 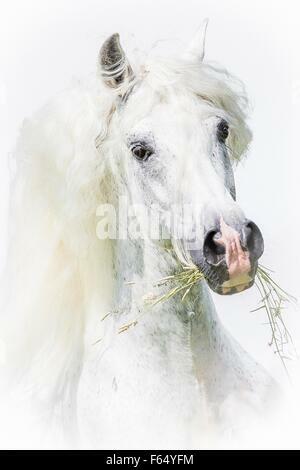 Head portrait of grey Andalusian stallion running in pasture with windswept mane, Southern Spain. 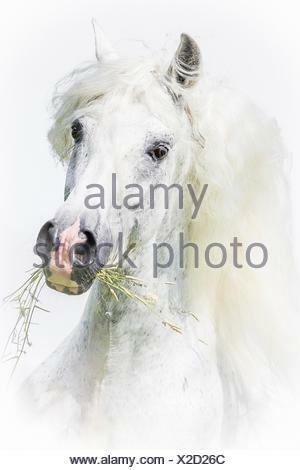 April. 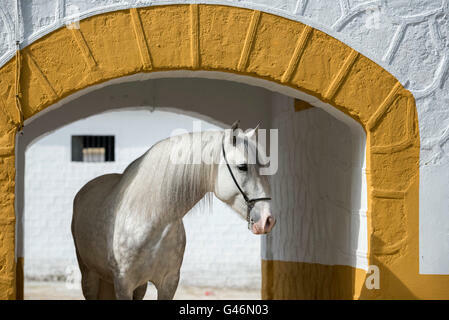 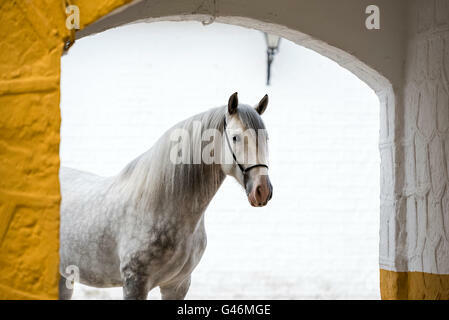 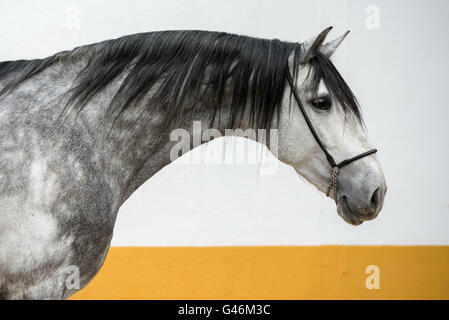 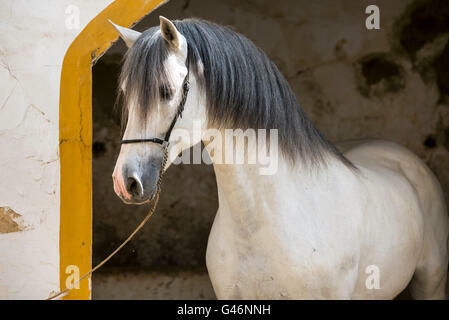 Grey Andalusian stallion head portrait. 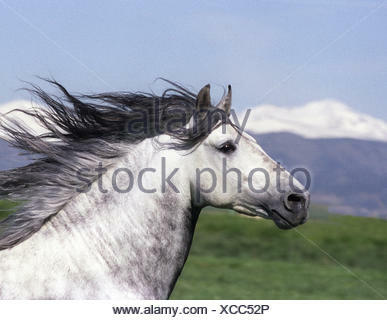 Colorado, USA.